This is a guest post from Adrienne Luedeking of Fruitfully Alive. I absolutely love her story because it shows that there are a million ways to work from home. My story is similar. About a year ago, I was fired from my job as an online consultant because I wanted to take a month off to study abroad. I was a college student with big dreams and small pockets. It was a small, part-time job that made me miserable, but it paid well and I was frustrated to lose it. But I also wanted to find a better, more flexible job that suited me. I wanted something that could support me while I pursued my dreams of being an actor, producer, voiceover artist, and blogger! But I also wanted my job to be interesting! So I made a list of what I wanted out of a job and began to scour the recesses of the Internet for an idea. And that’s when I encountered Proofread Anywhere, an online course which teaches you to become a proofreader for court reporters. In courts of law, there is a reporter who takes down every word that is said so the attorneys and judge can have a written record of the proceedings. Most of these reporters needed proofreaders! I was hesitant at first because I thought the online freelancing world was saturated by proofreaders and editors, but I realized that proofreading for court reporters is a niche requiring specific skills which must be learned. My gut was telling me this was what I was looking for. I took the plunge and signed up for the course. You can proofread while traveling! Moments after beginning the first module, I knew my instinct had been right. This was exactly what I wanted. I could proofread on my iPad which gave me the flexibility to work from anywhere I wanted! I took the class seriously. I tackled the modules and learned the nuances of proofreading transcripts. Readability is king in a transcript, so I learned to punctuate to aid the reader. Once I finished the course, I felt prepared to launch my business and seek clients. I worked on preparing my marketing materials: website, email signature, logo, etc. I was optimistic and ready to work. $3,200/month in the first month! The first court reporter I contacted became my first client, and one month and several clients later, I calculated my earnings at a little over $3,200. I was ecstatic. This job was perfect for me. What do I love about it? I love that I make my own hours. I am my own boss; I seek, accept, and sometimes reject clients. Since my interactions with court reporters are all online, my clients are from all over the country! I’m not limited to my own area. Being able to proofread from my iPad and laptop mean I can work wherever I can get WiFi. For the most part, the transcripts are interesting; sometimes they read like screenplays! I have laughed and cried while proofreading these transcripts; the bickering between attorneys amuses me, and the heart-wrenching testimonies of witnesses move me. I’ll be honest, though, I do sometimes receive a transcript so boring I cry for a different reason! An unexpected benefit of this job is the relationships I’ve built with my clients. We trust each other. They trust me to catch the errors they missed and e-mail the transcripts back to them on time. I trust them to send me work that is ready for proofreading and not riddled with errors on each page, and I trust them to pay me. Yes, in the freelancing world it can be all too easy for a client to ignore an invoice. Fortunately, I’ve been proofreading for ten months now, and I have never had that happen. What don’t I like about this job? Sometimes I have to work late hours if a reporter’s transcript has been requested urgently; they may send it to me and need it back within a few hours. This means I sometimes have to drop what I’m doing to help. But even this has its benefits! 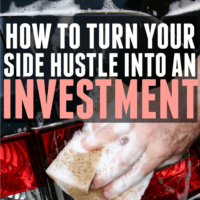 A rush job means you charge a higher rate so you earn more! Another thing I don’t always like is I have to be on top of my e-mail. Reporters expect you to respond promptly when they email you; they need you to confirm receipt of a transcript or ascertain whether you can take a job. This means I keep my phone on me at all times. $30,000 earned in 10 months working part-time! Ten months since I got my first client, I have earned almost $30,000 working part-time hours. This has allowed me to pursue my dreams, the latest being starting my blog through which I hope to reach young adults and offer them a foundation on faith, finances, and the fruits of efficiency in order to help them pursue their dreams. I’m so grateful to have found this job and I’ve never looked back! Would you be a good proofreader? Adrienne Luedeking of Fruitfully Alive is a blogger, film producer and proofreader who believes in producing art that gives young adults a strong moral message with a foundation in faith. Thank you so much for including this article! It sounds like something I’d like to do and I’m already signed up for the 7 day intro class. Yay Crystal! 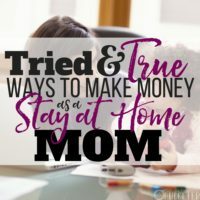 There are SO many ways to make money from home! Hi Crystal, I think I would be interested in taking a course…are you happy with the one you are taking, and if so could you please provide the information of where you signed up? This is so awesome, and I’ve already signed up for the 7 day intro course. One question: How many hours a week did you work on average? Hi Leah, I worked no more than 20 hours a week. Adrienne recently posted…Books To Read Library by Amelie EdmonstoneI incorporated this into my journal the moment I saw it. I love adding titles to it! 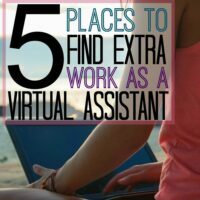 I would love to have a flexible schedule and be able travel! Melissa, then this might be just the thing for you! I’ve taken my work with me from California to England to Miami. It’s easy when you just need your iPad, an Internet connection, and/or your laptop! Where can I find the free course to see if this is right for me? I just got laid off and went back to school to finish up my degree but I have to make some kind of income. I live in a small town and jobs are hard to come by and take care of my kids. Plus I love to read. I’ve always wanted to do this. I do it for my author friends often, but for free. Wish I had $900 to do it. how do you do that and where is the link for the 7 day trial? Love your story! Welcome to our world! Once you take the course and are ready to work, how do you get clients or how do they find you? Yes, as Judy said…. I’d like to know to. Are the people taking notes looking for a degree? This is a new world for me. Didn’t even know this could be a job or option. Thanks for any additional info! How does this work regarding filing taxes? Do you get taxes taken out? I’m concerned about the pay – hours ratio… after reading student reviews, it sounds like it’s pretty tough to get started, and then appears to take quite a while to actually make more than a few hundred dollars per month. I’m sure you really have to hustle and market yourself to get clients. 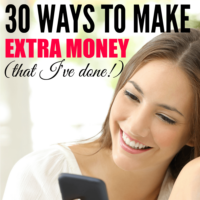 I don’t think many students typically made $3200 in their first month as you did – so… how’d you do that? Is it a kind of job which requires punctuation.n as u have mentioned this job can be done online.m an Indian n is it possible for me to take such job as part time job?I hav good Internet connectivity.but how do I meet with clients or how do I try it.please advise.it would be great to earn while working online since I hav 10 to 4 job. Great article! 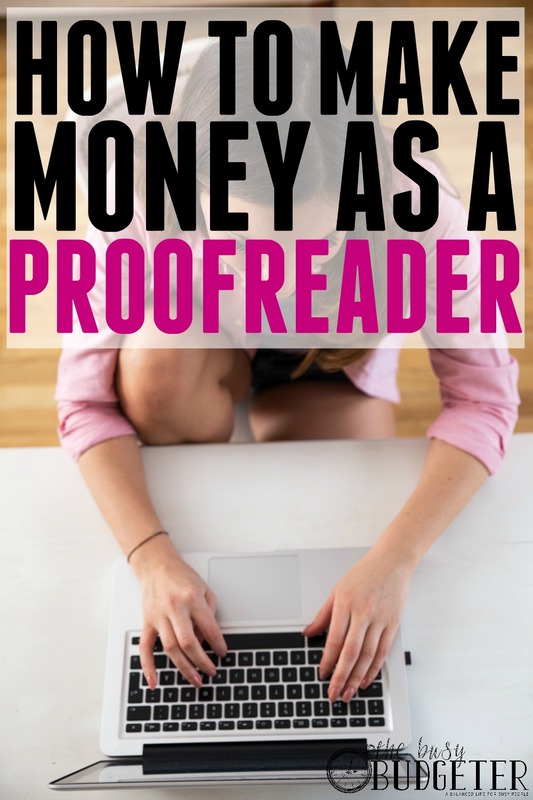 I added a link to this article from http://www.unconventionalprosperity.com/make-extra-money/ so that my readers can enjoy reading about making money as a proof reader! 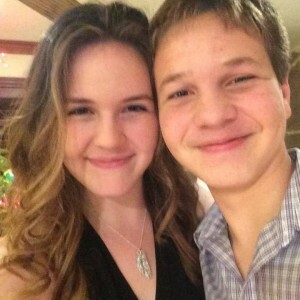 I’m trying to finish the legal Transcript Course with Proofread Anywhere (Caitlin Pyle). However, the Proofread Anywhere facebook page went a little crazy with her outlandish personal problems. She (Caitlin Pyle) has stated that she is a “pot smoker” and is going through a very public (because of her own postings) nasty divorce and another nasty breakup with another guy. It’s craziness that has nothing to do with proofreading and many people have bailed just because of all of this. Now, she claims to be retired and no one knows who is grading the exams (which are taking a long time to get back). I am still trying to get access to the last half of the course and cannot get in. In the meantime, I’ve started general proofreading and light copywriting with the Art of Proofreading so I could continue to move forward. I’m really looking forward to finishing these courses and then creating my own webpage. I’ve done a lot of research into this career, and it looks to be extremely lucrative if you want it to be.